Jothie Bechoo provides a professional and personal service to all her clients. 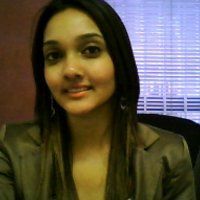 She has rights to appear in High Court and recently been appointed as a debt counsellor so that she can expand her knowledge and skills in the National Credit Act especially debt review applications. The firm specialises as Debt Review Attorneys for debt counsellors and attorneys. The firm also offers debt counseling services for overindebted consumers. Debt review is the process whereby a debt counsellor assesses a client’s outstanding debt and implements a restructured debt repayment plan. This will be done through the process of renegotiating interest rates with credit providers in order to reduce them, as well as by extending the debt repayment terms. To qualify for debt review, you need to be over-indebted as defined by the National Credit Act– that is, you are unable to meet all your financial obligations in a timely manner. This is determined by a debt counsellor and basically means that you can’t repay your minimum monthly installments. If you are over-indebted, we shall inform all your Credit Providers and the Credit Bureaus that you are under Debt Review. Your Credit Providers will also be requested to provide us with all the balance and other information in respect of your accounts. Based on your income and expenditure a restructured payment plan is drawn and is sent to your creditors. We can negotiate with your creditors with regards to your payment plan. Thereafter an application is made to court to make your restructured payment plan an order of court. This court order is obtained as per the National Credit Act and protects your assets while you are under debt review. Monthly payments must be punctual otherwise the creditors will proceed with legal action against you. If legal action has already commenced such as you receiving a section 129 letter in terms of the National Credit Act or summons, that debt cannot be placed on debt review. Therefore if you fall behind on payments, you need to act fast. If you decide to apply for debt review, we will contact all your credit providers to inform them of your debt review status. If any of your credit providers or even their debt collectors contact you, you can simply refer them to us and they are not allowed to threaten you or make any demands from you. Jothie Bechoo Attorneys also act as correspondent debt review attorneys for attorneys throughout the country. Our offices are of close proximity to Durban High and Magistrate Court.